Many domestic winemakers, as well as wine critics, are of the opinion that Pinot Noir made from single clones lacks the complexity and completeness of Pinot Noir made from multiple clones. 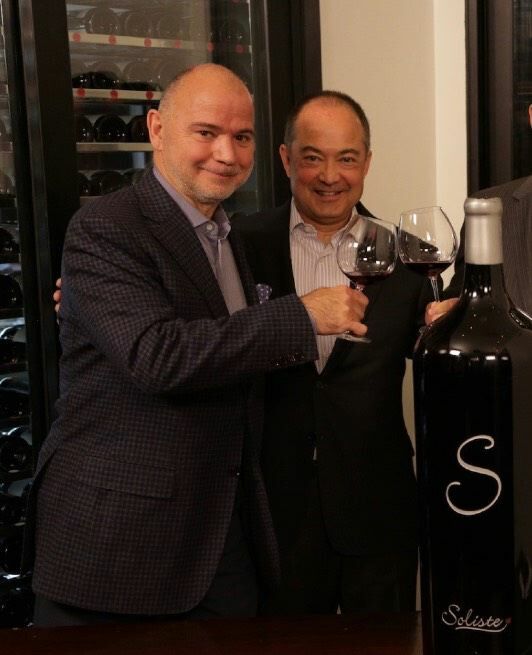 Not so fast, say partners Don Plumley and Claude Koeberle, who launched Soliste MonoClone® Pinot Noir wines with the 2009 vintage. They were convinced that California Pinot Noir should return to its ancient roots in Burgundy when Pinot Noir wines were once produced from single vineyards, single clones and matured in a single cooperage by Cistercian monks of Abbaye de CÎteaux, who created Clos De Vougeot. Soliste is a fanatical commitment to producing very limited production MonoClone® Sonoma Coast Pinot Noir wines that harness the purity and complexity of one clone from one vineyard. In Burgundy, a vigneron may reserve a special barrel for friends and family. They call this barrel “Soliste,” and Don and Claude thought this was an appropriate name for their winery. A number of the Soliste Pinot Noir wines are so selective they are produced from one or two barrels. Soliste promises meticulous farming with only the very best grapes chosen through multiple passes at harvest. Fermentation usually proceeds with a moderate amount of whole cluster inclusion and the wines are aged in 225-liter French oak barrels for an extended time up to 22 months to tame the tannins from the whole cluster inclusion. The resultant wines are unabashedly meant to join the conversation with the great Burgundies and anything less is considered unacceptable. Those with a jaundiced eye may feel this is presumptuous and pure madness, but the wines speak to this lofty goal. I had the opportunity to taste several of the 2013 Soliste releases back in 2016 when the wines were young and found them to be extraordinary at that time. Recently, I had the opportunity to revisit them once again and I was so “ga-ga” over them that I was compelled to include them in this lead-off story. Soliste Pinot Noir is not cheap with prices often in the $85-$100 range. That said, having spent considerable time with Claude Koeberle and understanding his commitment and fanatical devotion to the quality of these wines, I consider them to be a tour de force and easily comparable to their Burgundy brethren. If my lofty recommendations seem, well, unreasonably lofty, simply look at the list of restaurant partners that serve Soliste Pinot Noir in California, Washington DC, New York, Chicago, Nevada and the rest of the World. Sommeliers in many of the finest restaurants in the US clamour for Soliste Pinot Noir. Since Soliste Pinot Noir is produced in such limited quantities, some of the entire production of certain wines are snapped up and committed to single restaurants. Visit www.soliste.com/where_to_find.htm for a restaurant listing. 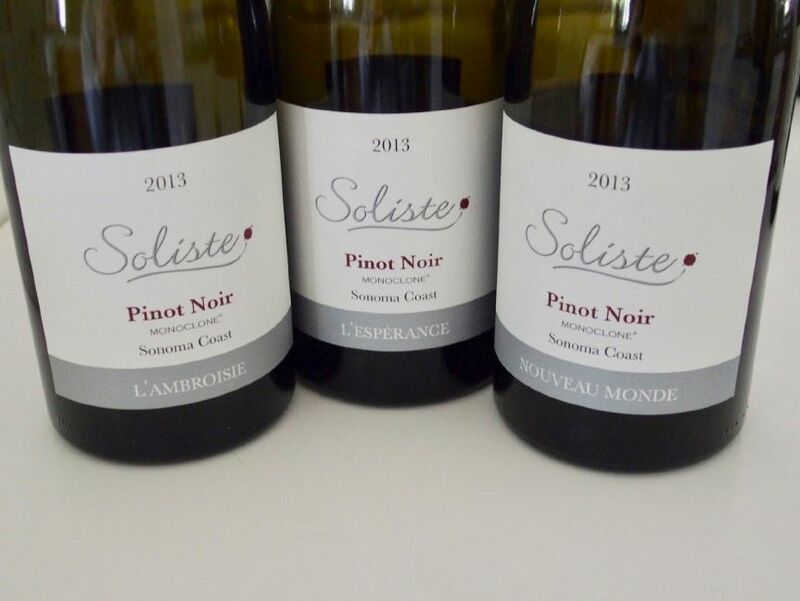 The 2013 Soliste Pinot Noir wines are the current releases, available to a mailing list by allocation. Visit www.soliste.com to view current releases and join the mailing list. If you are not currently on the mailing list and wish to place an order now, contact Don Plumley at 844-SOLISTE or 707-955-3005. A 2013 MonoClone® set of six wines - Forêt, L’Espèrance, Les Griottes, Nouveau Monde, Renaissance and Sonatera is available ($525). 2013 Pinot Noir wines produced but not reviewed in this issue (but previously reviewed) include Forét, L’Ermite Rouge (23 cases), Extravagant (23 cases), Renaissance and Sonatera. Large formats are also produced. Limited private tastings are available at the winery in Santa Rosa. Soliste also offers incredible St Andelain Sauvignon Blanc from Lake County, a wine inspired by legendary winemaker Didier Dagueneau, and Les Cailles Russian River Valley Chardonnay modelled after the Meursault wines of Jobard. The Soliste Pinot Noir wines reviewed here represent the current pinnacle of Sonoma Coast winemaking. The wines have glorious aromatics, refined and graceful demeanours, no intrusion of oak, and some show a proper infusion of whole cluster goodness. The scores are irrelevant - the wines are all highly recommended.